The WooCommerce variable product helps to create multiple variations of a single product. This will save time and effort of store owners from creating each variation from scratch. To create variable products, you have to make use of product attributes. With our Product Import Export Plugin for WooCommerce, you can import variable products conveniently. It imports all the details into your WooCommerce store without hassles. An important step here is to map the column header of the CSV file correctly with the fields of WooCommerce so that all product variations and attributes come up without any problems. Let us now understand importing CSV file containing variable products. Let’s consider we have a variable product ‘T-shirt’ with four variations. The variations are created with two attributes – Color (Blue & Red) and Size (L & XL). The four variations are represented by their SKUs as A11v1 (Blue-XL), A11V2 (Red-XL), A11V3 (Blue-L) and A11v4 (Red-L), as shown in the screenshot below. In the CSV file, make sure that you use both SKU and Parent_SKU in the CSV for a variation. The child products should always have a Parent_SKU. Secondly, for every attribute in the CSV, for example, size, the following 4 columns are required. meta:attribute_size – This defines the values of the variations. attribute:size – This defines all the possible values for the parent product. attribute_default:size – It is the default size that will be displayed on the cart/checkout page. The field meta is to be filled, only for the child products. 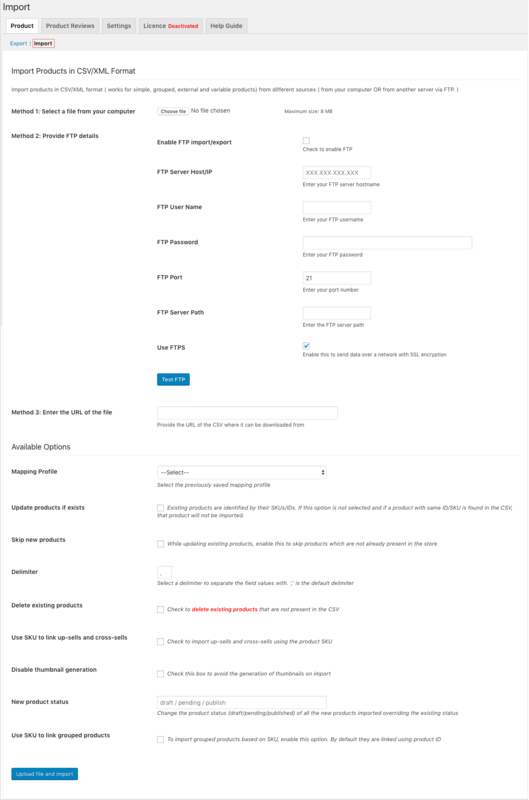 The other three fields – attribute, attribute_data, and attribute_default is filled, only for parent products. Also, the field attribute_default can be left empty and is not mandatory to be filled. Now, let us take a look at the column attribute_data. attribute_data value is displayed in the form of position | visible | variation. position: Defines the position of the attribute in the front-end. For example, if you have 3 attributes and the value of the position is 0, it indicates that this attribute’s position is at the top of the variations list. Finally, please see the sample CSV and only provide data in parent products rows for fields like attribute:size and attribute_data:size. The variations should not have any value for these columns. Note: Click Sample CSV of Variable Product to download it. To view its variations, move to the Variations section in the respective product page. 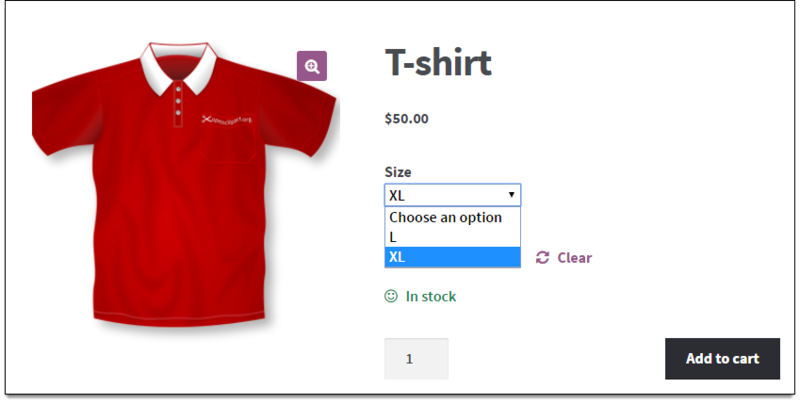 From the above screenshots, we can see the variable product – T-shirt is imported to the WooCommerce store with four variations (Blue-L, Red-L, Blue-XL, Red-XL). The variations are imported with the correct images, SKU name, regular price, attributes, and so on. To know more about importing images, read our article on importing images. Hey, When I import my variable products, the different prices do not work. For example. I have 3 variations, 250, 500 and 1000, and have added these values under the regular price column. After importing, the product says 250-100, so the range is good, but no matter what variant i select, the price stays at 250 despite this. The issue you are facing might be because the variations are not created properly due to which the price is not changing while selecting the variants. Kindly make sure that the variable product data is provided in the correct format as mentioned in the documentation. If you are still facing any issue importing variable product please reach us via support. I got Status Msg “Failed to import product” what i need to check? The issue you are facing might be due to blank data in the post_title, post_excerpt, and post_content columns in your CSV. Please make sure that any of these columns are having data in it. hi, can this plugin support my existing plugin WooCommerce Extra Product Options ? You can use our Product Import Export plugin to export and import any metadata stored with the products. 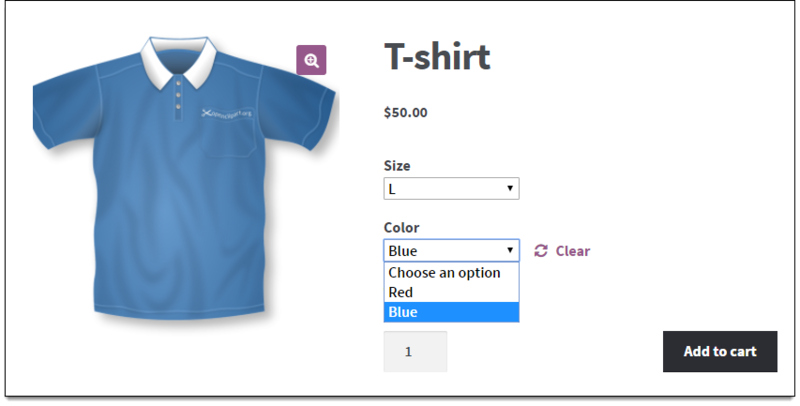 The plugin supports the WooCommerce Extra Product Options plugin data. is the import of variants only working in the commercial version or also in the free version? I tried and could not manage the import of variants. Variable products can be imported using the premium version only. Basic/Free version supports only simple products. Variable product and Parent product can be imported in the same CSV file? You can import parent product and variation in the same CSV. Ensure that parent product comes before it’s variations in the CSV. Hello. I am confused about the “attribute_data:size”. I read all about it and even did some test uploads but I can’t figure out what each number corresponds to. For example, if I have written “0 | 1 | 3”, what does that mean? What product variation/attribute does each number correspond with, and what effect does the number have on that variation/attribute? Thanks. position: Defines the position of the attribute in the front-end. For example, if you have 3 attributes and the value of the position is 3, it indicates that this attribute’s position is at the top of the variations drop down list in the front end. visible: Give value as 1 if you want the attribute displayed at front end, 0 if you don’t want it in front end. variation: Give value 1 if you want to use the attribute for variations, 0 if you don’t want to use for variation. These control the default WooCommerce properties of an attribute.